Dr. Song Liang is an Associate Professor in the Department of Environmental and Global Health and Emerging Pathogens Institute. He received a B.S. in Biology and M.S. in Zoology from Southwest University in 1989 and 1992 in China, and went on to study at the University of California Berkeley where he received an M.S. in Environmental Health Sciences in 1999 and, in 2003, his Ph.D. After his Ph.D work, Dr. Liang spent a couple years a Postdoctoral Fellow and a lecturer at the School of Public Health at the University of California at Berkeley, then moved to the College of Public Health, the Ohio State University as an Assistant Professor. In 2012, Dr. Liang joined the Department of Environmental and Global Health at the University of Florida at an Associate Professor and affiliated faculty in the School for Natural Resources and Environment and the Florida Climate Institute. 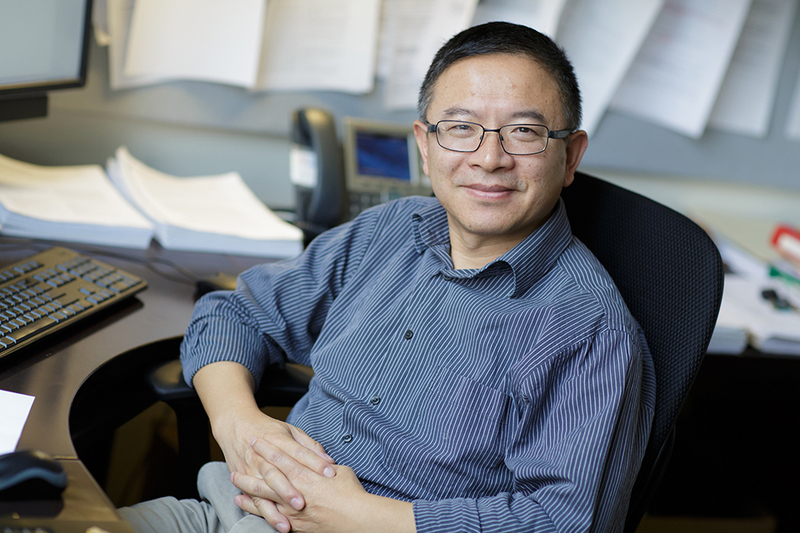 Dr. Liang’s research areas include epidemiology, risk assessment of environmentally-mediated infectious diseases, and human health impact of environmental and climate change. Over the past 12 years, he has been studying environmental determinants and control of tropical diseases (e.g. schistosomiasis, soil-transmitted helminthiasis, and some water/food-borne diseases) through both empirical and mechanistic approaches. More recently, his work has expanded to the health impact assessment of environmental and climate change, extreme weather events. Dr. Liang’s work has resulted in more than 90 peer-reviewed research articles in journals including the Lancet, Proceedings of the National Academy of Science of USA (PNAS), Bulletin of World Health Organization, PLoS Medicine, and Nature Climate Change. His work has been funded through NIH, NSF, USEPA, USDA, and USAID. Ngwa, M. C., Young, A., Liang, S., Blackburn, J., Mouhaman, A., & Morris, J. R. (2017, December 15). Cultural influences behind cholera transmission in the Far North Region, Republic of Cameroon: A field experience and implications for operational level planning of interventions. Yang, J., Siri, J. G., Remais, J. V., Cheng, Q., Zhang, H., Chan, K. K., . . . Gong, P. (2018, May 26). The Tsinghua-Lancet Commission on Healthy Cities in China: Unlocking the power of cities for a healthy China. Teklemariam, D., Legesse, M., Degarege, A., Liang, S., & Erko, B. (2018, February 20). Schistosoma mansoni and other intestinal parasitic infections in schoolchildren and vervet monkeys in Lake Ziway area, Ethiopia. Adugna, S., Kebede, T., Mekonnen, Z., Degarege, A., Liang, S., & Erko, B. (2017, December 01). Diagnostic performance of Mini Parasep® solvent-free faecal parasite concentrator relative to Kato-Katz and McMaster for the diagnosis of intestinal parasitic infections. Rivero, M. R., De, C., Nuñez, P., Salas, M., Motta, C. E., Chiaretta, A., . . . Liang, S. (2017, November 20). Environmental and socio-demographic individual, family and neighborhood factors associated with children intestinal parasitoses at Iguazú, in the subtropical northern border of Argentina.